- See more at: http://blogtimenow.com/blogging/automatically-redirect-blogger-blog-another-blog-website/#sthash.UVsgb4Gv.dpuf Erin's Alter Ego Writes Books: Death is but a Dream Cover Reveal! 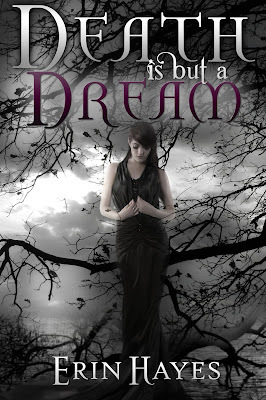 Death is but a Dream Cover Reveal! BUT, to make it up to you, here's is the absolutely GORGEOUS cover for my new book, Death is but a Dream, which is going to be released this Autumn. The artwork is done by the AMAZING Claudia McKinney of PhatPuppy Art and the typography was done by the AWESOME Ashley of Bookish Brunette Designs. I think they totally nailed it and I think Callie looks pretty epic. The cover reveal for it has been organized by the WONDERFUL Giselle of Xpresso Book Tours. Thanks everyone, I really appreciate your help. So please be sure to check it out this Autumn!